Aerofin is a leading manufacturer of finned tube heat exchanger coils and related heat transfer equipment and accessories such as process gas coolers/heaters, transformer oil coolers, fan/coil units, integral face & bypass coils, frames for coil removal capabilities, airside transitions and drain pans. Aerofin products serve a variety of industries including HVAC, fossil fuel power generation, nuclear power generation, industrial process, pulp & paper, automotive and petrochemical. Applications are evaluated using the latest Windows-based performance and sizing software, which accommodates nearly any heat transfer medium. Coils are designed and fabricated to virtually any size and configuration using a wide array of construction materials. Additionally, all products can be designed and constructed to the stringent requirements of the ASME code including Section I ("S" Stamp), Section III ("N" Stamp, Class 1, 2 or 3), and Section VIII ("U" Stamp). Paul Mueller Company, centrally located in Springfield, Missouri, specializes in the design and manufacture of stainless steel tanks, processing systems and equipment for the food, dairy, beverage, chemical, biofuels, pharmaceutical, biotechnology, and pure water industries. Mueller has evolved into a global process solution provider with nearly one million square feet of manufacturing space under roof. Mueller products are used in over 100 countries in a wide variety of applications. They offer a full range of tanks/vessels from shop fabricated alloy vessels through 20 feet in diameter to field fabricated vessels up through 2,000,000 gallons as well as offer integrated systems, modular fabrication, field construction, plant maintenance and repair, and complete turnkey project execution. 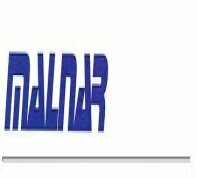 Malnar Industries Ltd. is a proven manufacturer of aluminum circular evaporators and air-cooled condensers. For over 18 years the superior quality of Malnar circular evaporators has proven its effectiveness time and time again.